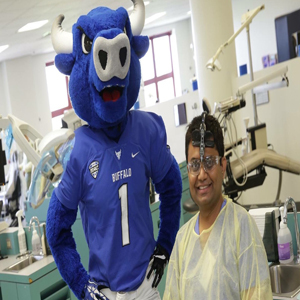 Hello Friends, This post for those who are looking for dentistry in USA. I had a lot trouble to search for the proper guidelines for the same so i am sharing the steps to follow. 3. Get an account on CAAPID. Click here. 4. Send your Original Documents to ECE. (Degree Certificate, All 4 years marksheets, Transcript-Sealed n signed by Dean, Intership completion certificate, DCI Registration certificate with latest renewal receipt,attempt certificate.) One report copy is free so order extra copies only if you are applying directly to any school and it’s requirement. Click here more details. Get into the ece website while you are on caapid application. As caapid needs a direct electronic report from ece. 5. After sending documents wait for 3-4 weeks to get the report. 6. Pay the fees for NBDE Part 1 and wait for an email from jcnde about your eligibility. It takes 2-3 days. 7. Book a test date as per your preparation schedule. At Prometric test centre, don’t wear metallic stuff, wear simple clothes, take fruits n nuts to eat in break. Have 2 id proofs with you without fail. Stay calm. Before you start exam close your eyes, take deep n slow breaths. Remember you are the Hero for your Family, you gonna perform well so don’t worry about anything now. Keep an eye on the tic-tic timer. For preparation materials you can write me if you need it. I will mail you. It’s FREE. Don’t buy any App. If you want to have real feel of exam you can buy crackthenbde. It is website launched by ministry of home affairs government of india and with the help of actor Akshay Kumar. This Website contains details of soldiers who sacrificed their life to protect our nation. You can contribute minimum ₹10 (Rupees Ten) to ₹15 lakhs (maximum) according to your ability. If any one soldier get ₹15 lakhs, then he will be removed from the list. Just think if 50 lacs people out of 125 crore people of india contribute only 10 rupees each. then it will become 5 Crore.